When I start thinking about Easter the first thing I think about is my great Nana’s forgotten cookies. There are so many names for these amazing Easter cookies. Some people call them Easter Resurrection cookies. Some, call them Empty Tomb cookies and some people call them Jesus Cookies. It doesn’t matter what you call these tasty Easter cookies, they taste amazing and they are the Perfect Easter cookie! In our house we celebrate the religious reason for Easter AND enjoy the Easter Bunny coming to visit us. So, I let the kids enjoy these Forgotten cookies, (aka Resurrection cookies) as a part of their Easter breakfast. We also have other things like Easter Bunny Donuts, and Cinnamon Roll Bunnies. Along with traditional brunch and breakfast items like Ham and Egg Cups, homemade pancakes, brown sugar bacon, and whatever other brunch items I am feeling like making. But these forgotten cookies are the main thing everyone looks forward to at breakfast time. After all, we have to wait overnight to enjoy them. And that is a long time in a house full of cookie lovers! My favorite Easter tradition when I was growing up was making Forgotten Cookies. We only made these cookies at Easter, but they are good enough to make just because! Every year, on Easter eve, my mom would get the paper with my Nana’s Forgotten Cookie Recipe on it out. Then my siblings and I would join her in the kitchen to make the Easter Forgotten cookies. I have so many great memories making these cookies with my Mom and siblings. It was a must, to carry on the Easter meringue cookie tradition with my own children. Now each year I make them with the kids and if my Mom is visiting she joins us in the kitchen too. We always have the best time and make the best memories! The Forgotten Cookies Easter Tradition is a great one to start if you are looking for one. Easter resurrection cookies are my favorite way to share the story of Jesus Easter and it’s meaning. Not only do you get to share the great lesson with your kids, but you all get to enjoy some amazing and tasty cookies too! While we are making this Easter resurrection cookie recipe on Easter night, I tell my children the beginning of the Easter story. When we put the cookies in the oven, I explain to them that just like we are sad that we have to close the oven, Jesus’s Followers were sad that his tomb was closed off. In the morning when it is time to take the cookies out I explain the rest of the Easter story. I explain that the happiness we feel about taking the cookies out of the oven is like the happiness Jesus’s followers felt when they learned that Jesus was no longer in the tomb. Yes, I know I may have gone a bit to much there on our Easter traditions with these cookies, but no one should be shocked. We all know I am a talker! LOL. But I also wanted to make sure you have all the info you need if you are going to start the tradition in your house as well. 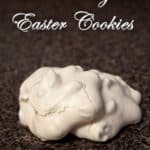 You may be wondering why these cookies are sometimes called Easter Resurrection cookies, Jesus cookies or Empty Tomb Cookies along with also being called Forgotten cookies. You can call them whichever name you want to. For those who are looking for the “why” on the different names, I got you covered. These Easter cookies are called Forgotten Cookies, because of the baking method used to make them. After you make the cookie batter you put them in the oven, and then “forget” about the cookies. You leave them in the oven for a few hours or overnight, depending on when you are making them. These Easter resurrection cookies are made very similar to the Easter story of Jesus. The Easter story is that the night before Easter, Jesus’s followers went to his tomb and it was closed off. Then in the morning Jesus’s followers went to the tomb, to find that Jesus was no longer there. This is why these easter cookies are sometimes referred to as Jesus Cookies or resurrection cookies. The story continues with these Empty Tomb Cookies even after you take them out of the oven. When you take the Cookies out of the oven and take a bite into them, you will find that they are no longer a solid cookie. 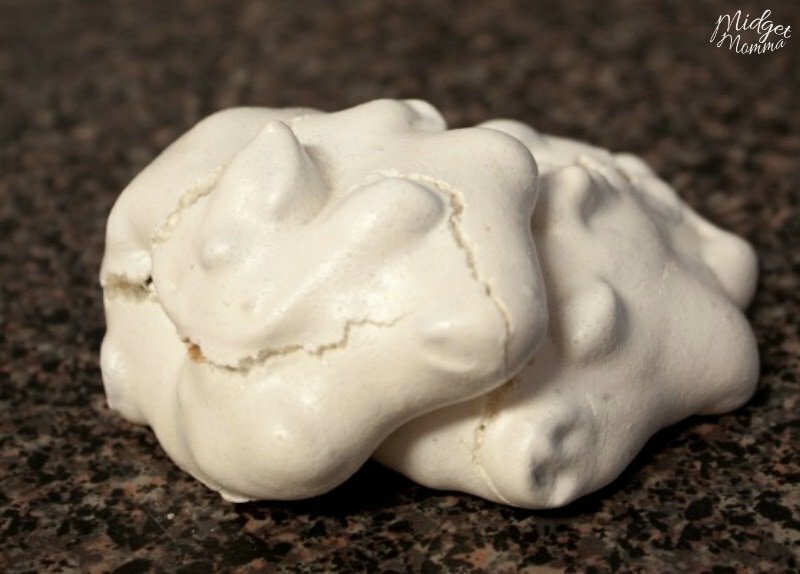 Just like the tomb was empty in the morning, when Jesus’s followers went to it, when you bite into these easter cookies they are hollow (empty) too. This is why these Easter cookies are sometimes called Empty Tomb Cookies. 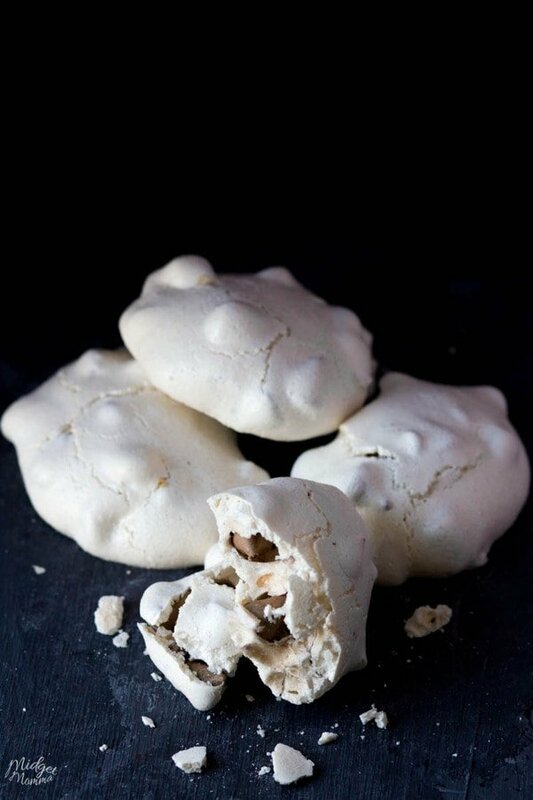 When I am making these easter meringue cookies I always use the mixing bowl that was my Nana’s and the hand mixer. As much as I love my KitchenAid mixer, it is not what you want to use when you are making these no bake easter cookies. 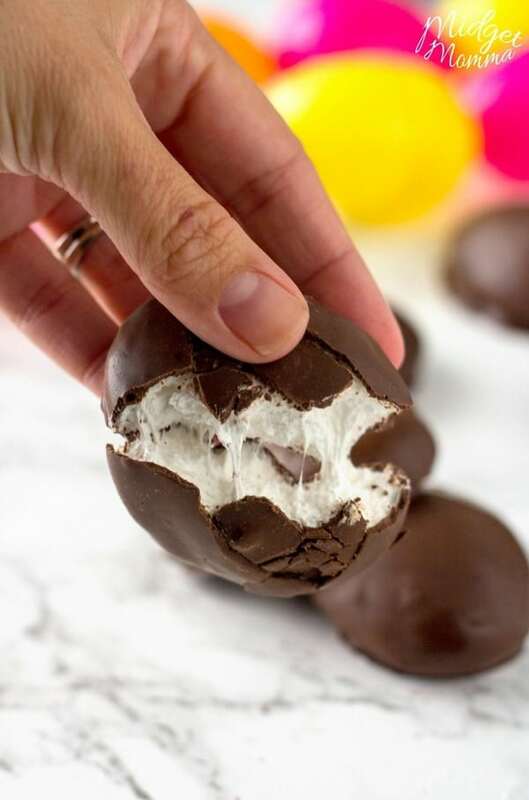 I call these no bake easter cookies because when you are making forgotten cookies, you turn the oven off before putting them in and then the residual heat from preheating your oven cooks the cookies. If this is your first time making them, you might be a bit unsure on what it means to peak the batter. You are going to use a hand mixer to mix the egg whites and sugar together. 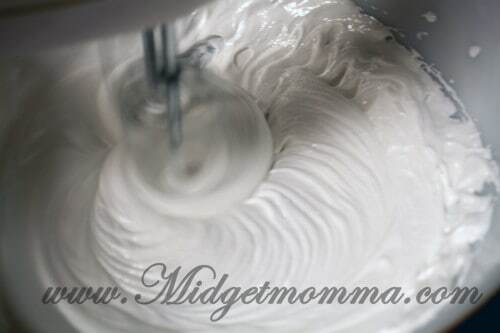 As you are mixing it you are going to see swirls form in the batter. You will know the batter is mixed thoroughly when you see “peaks” have formed pull the mixer out of the batter. When I make these Easter cookies, I use chocolate chips. 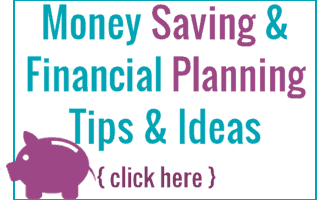 You can also add in a 1/2 a cup of walnuts, or 1/2 a cup of pecans if you want to. 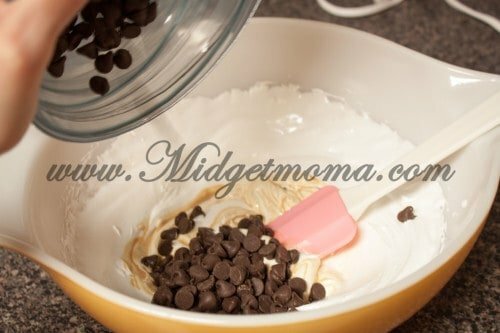 When you are mixing the chocolate chips, and nuts into the batter you want to do it gently. You also do not want to over mix the batter, because that will cause you to lose the “peaks”. 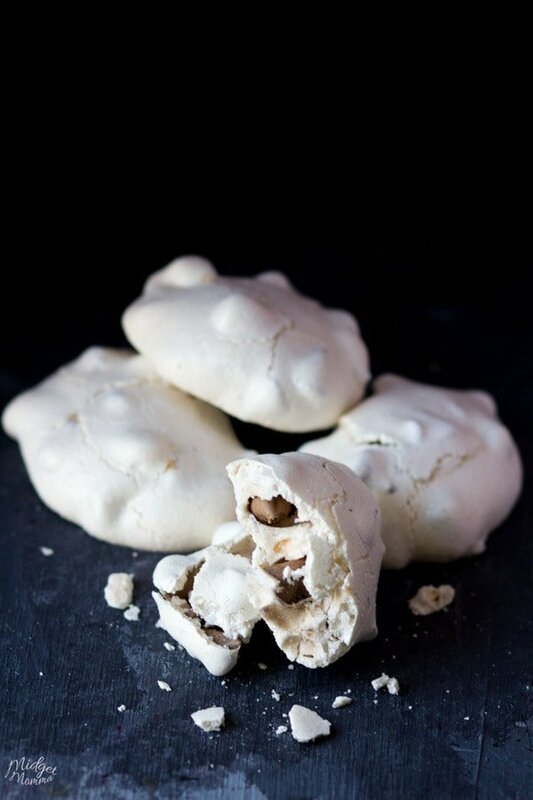 When you put these forgotten cookies in the oven, they do not need to stay in overnight. However you do need to make sure the oven door stays closed for at least five hours. For us it is best to leave the cookies in overnight, it helps with the temptation of opening the oven. To remind people not to open up the oven door I leave a little sign warning them not to open. Ok, it might also be so I don’t touch the oven and try to peek on them too. LOL! To start preheat the oven to 350 degrees and line cookies sheet with ungreased foil. In your mixing bowl add the egg whites and the sugar. Then beat the sugar and egg whites till it is stiff. 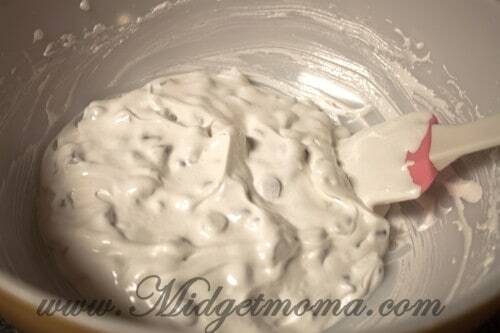 You will see them thicken up and leave swirls, you will know it is ready when the batter forms stiff peaks when you lift the mixer out of the bowl. Next gently mix in the vanilla and chocolate chips. 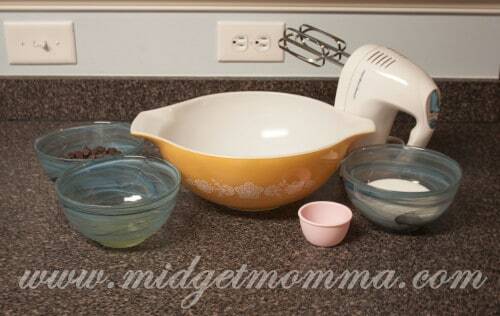 You can also add chopped walnuts or pecans if you would like to here. Scoop the batter with a teaspoon onto the sheet pans covered in aluminum foil that has not been greased. Place the cookies into the oven and immediately turn off the oven. You need to make sure the oven door stays closed for at least five hours. It is best to leave these cookies in overnight. To remind people not to open up the oven door I leave a little sign warning them not to open. In the morning (or at least 5 hours later) take the forgotten cookies out of the oven and peel them off aluminum foil. 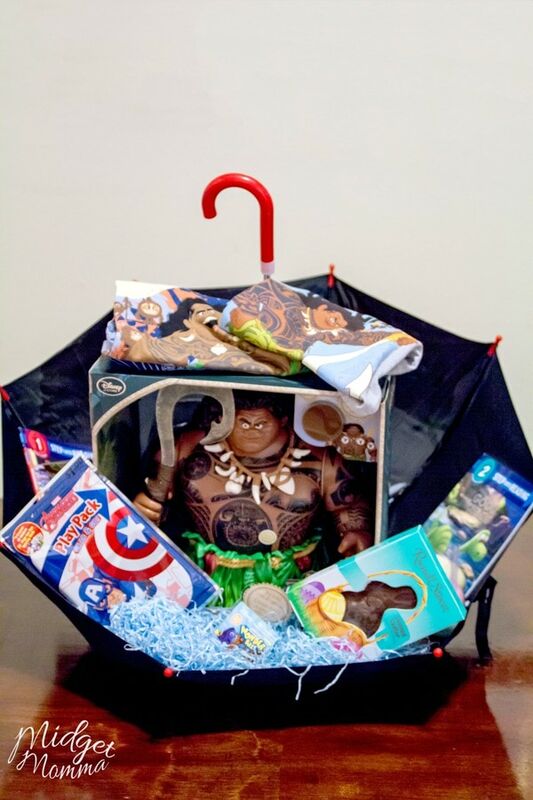 Check out these other great Easter Ideas! Hi! Just curious as to approx how many cookies this recipe makes? Thanks! Funny that you call these Easter cookies. I make them every year at Passover because there is no chemical leavening agent. Does it make a difference if your oven is gas or electric ?